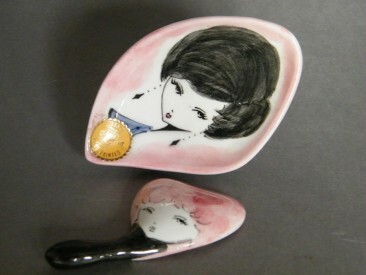 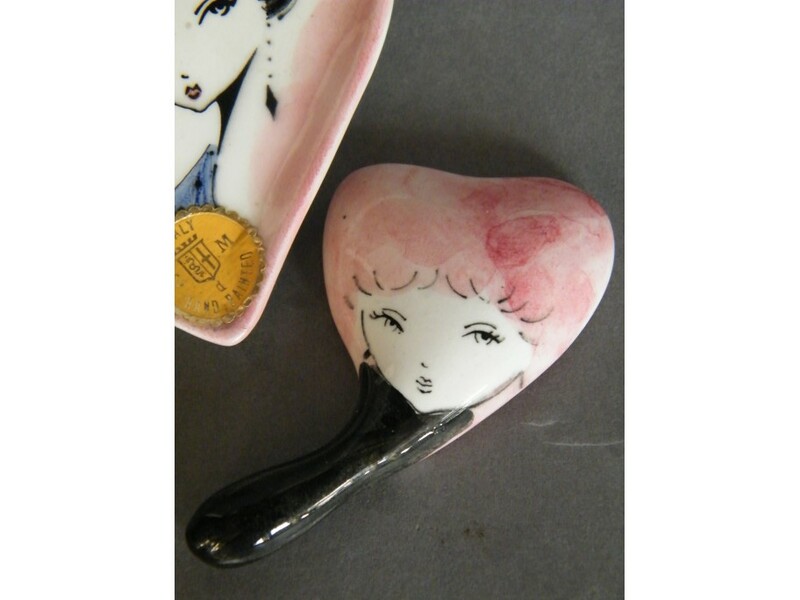 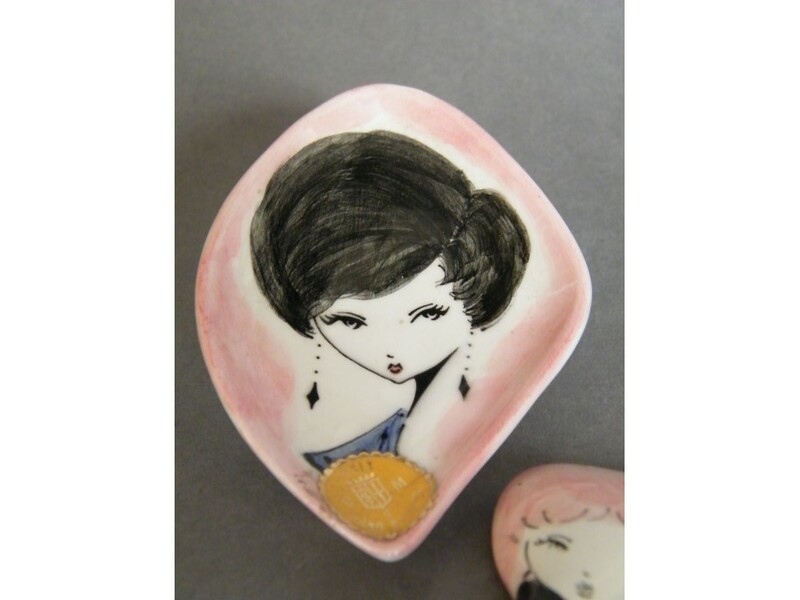 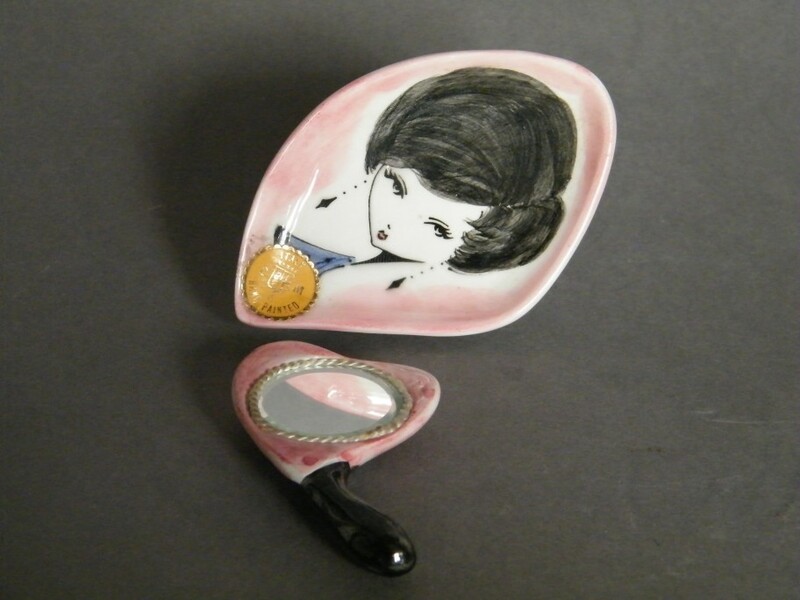 A rare hand-painted girl's dressing table "pin dish", complete with matching miniature mirror, made during the late 1950s or early 1960s in Milan, Italy. 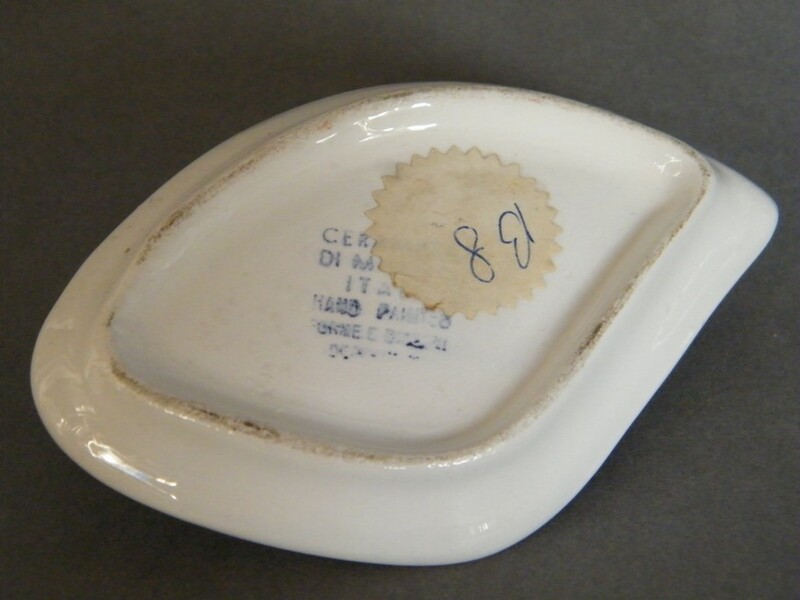 Condition: excellent, with original shop and makers labels. Dish: 10cm (4 inches long); 7cm (2.75 inches) across. 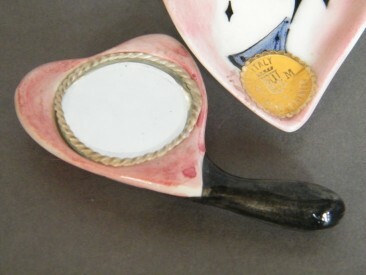 Mirror: 8.2cm (3.3 inches) long.